The windows operating system has grown to get a huge share in the mobile industry. The windows smartphones gives an amazing experience in the 2D and 3D gaming with amazing graphics of high quality if they are made with a perfect windows game development. The experienced game developers at Arth-I-Soft have many times proved themselves as one of the best game builders in India. You can receive the best gaming experience from the games that we make for you. We develop games of lot of different categories like educational, Shooting, adventurous, kid’s games and much more. Why people choose us for their Windows Game Development? Several years of experience in developing various kinds of games. 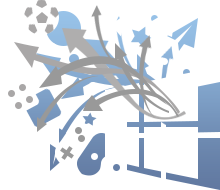 We use the latest technologies and tools and always remain updated to any upcoming news on windows game development. Our games have proved lot of times to be profitable to the customers with very huge returns. We have an active game development process to complete each game after which we have quality and bug checks so that we leave no possible complaints by the users.